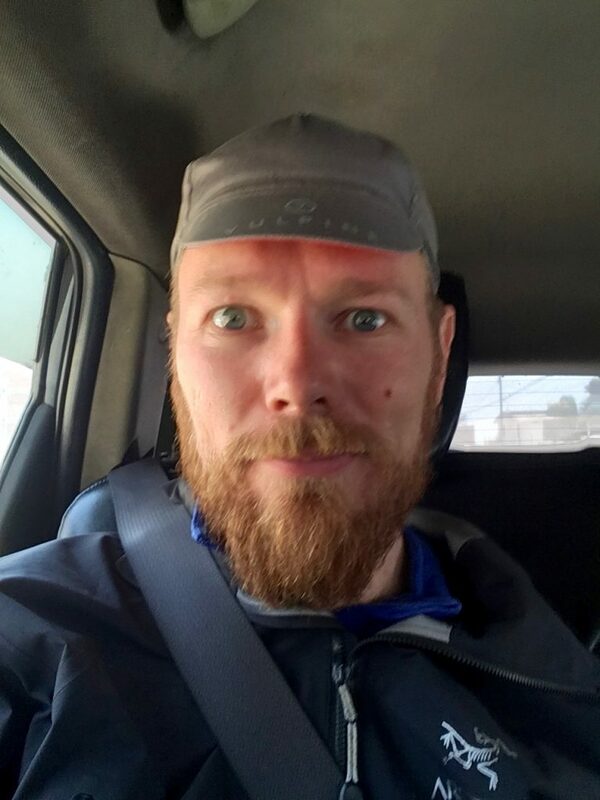 After getting close to a month off the bike, I was itching to get going again. 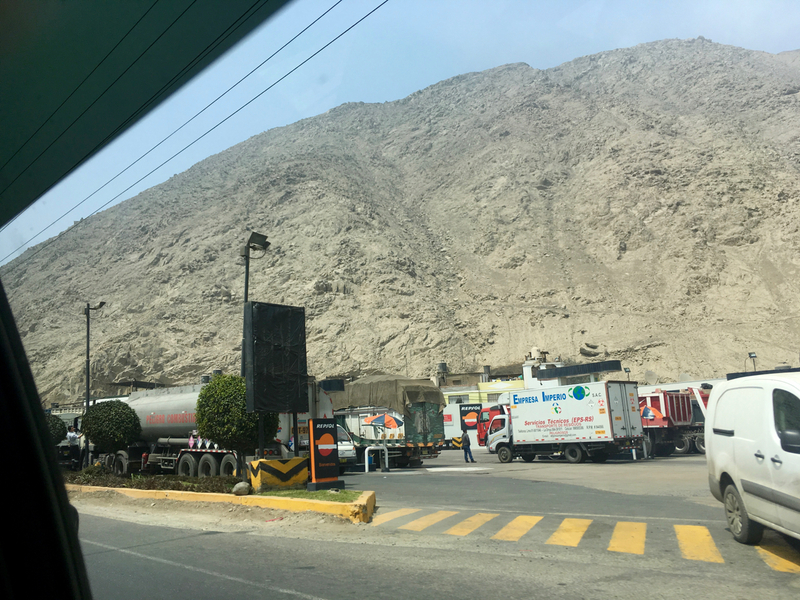 On a drizzly morning in Lima, I set off to find some transportation back up to the Sierra to continue my journey South. Having eventually found the place that the collectivos leave from to head up to Chosica on the Carretera Central (the main highway heading up into the heart of Peru) and, in fact, commandeered a surprisingly cheap taxi instead that had a roof rack for Sally, we were soon weaving our way at high speed through the Lima traffic and up into the mountains. The drizzle was soon left behind as we climbed and the lower reaches of the valley leading up to the Sierra are actually a pretty horrible dustbowl – the mountains completely bare and sandy. My driver was clearly keen to fit in several of these journeys that day (it takes about an hour and a half) and was driving like a complete maniac – everything was apparently fair game…! Pedro Senna, my feisty driver! 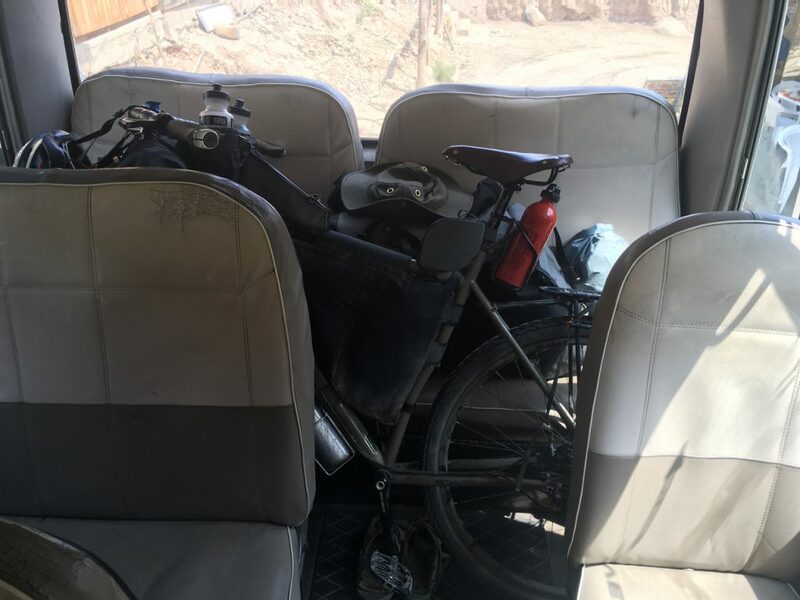 From Chosica, I jumped into a collectivo (basically a minibus), buying four seats for Sally and one for me! Sally comfy on the back seats! As I probably said in my account of my journey down this road, travelling up it in one go you really do get a feeling for the scale of these mountains – they seem to go on climbing endlessly. After a few hours in the minibus, I transferred over to another taxi for the last few KMs from San Mateo to Chicla (I had vowed to myself that, after the previous descent, I would not spend a minute longer on this godforsaken road than I had to!) and checked in to the grand-sounding but pretty grim, Hotel El Imperador. It wasn’t until I had to speak (Spanish) to the lady at the hotel that I realised that I was struggling to put a sentence together and feeling quite dizzy – the altitude had really hit me! Chicla lies at 3800m and, never having ascended to that sort of altitude in one go before, I didn’t know how it was going to affect me. I had been wondering how long, if at all, it would take me to re-acclimatize and it was obviously going to take a little while! 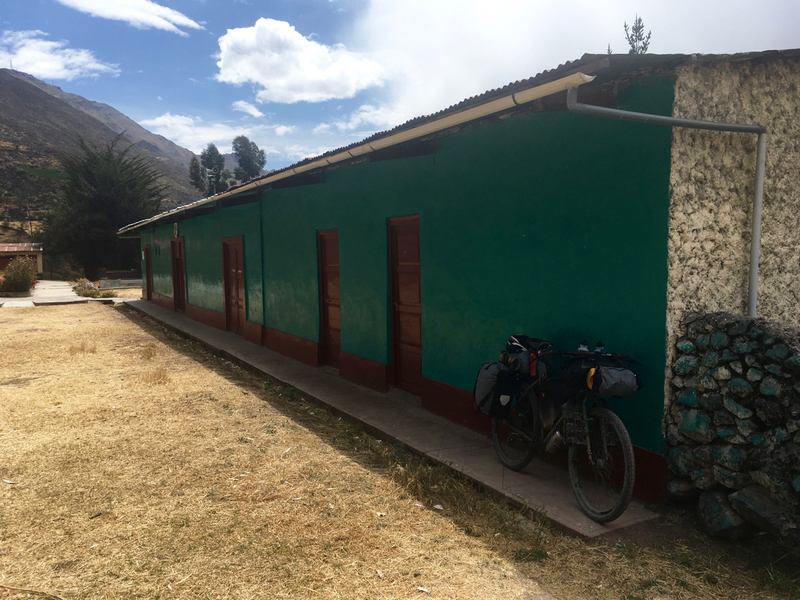 Despite the altitude sickness, it had been a good day – I felt like I had recognised a step change in my confidence – I guess with two months riding under my belt I was more confident about asking for help, directions etc and much less worried about perceptions of me (Mr Gringo). I got some warm water from the kitchen to make a Coca tea, although I only had fairly generic teabags, which probably do absolutely nothing but are a good panacea! After half an hour or so, the tea hadn’t made much of a difference and the room was still spinning a bit so I decided to try something novel. This is where I have to thank my cousin, Nick Goodwille (Nick – you can begin chuckling now) who put together a fantastic and incredibly thoughtful survival kit of useful bits and bobs for me before I left on the trip. Of the things that made the cut (ahem, severe weight-restrictions), I had put something in with my kit just in case I might need it. 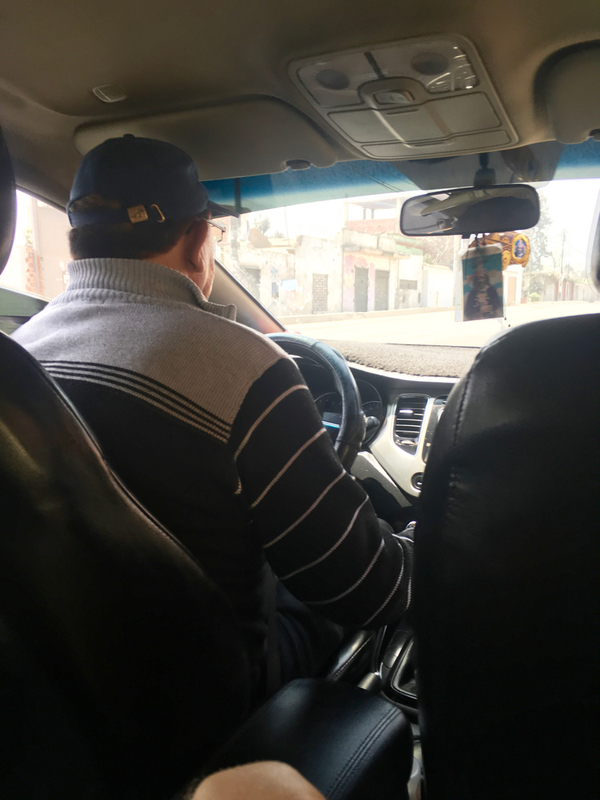 There are few things to help with altitude sickness – locals drink Coca tea and chew Coca leaves or there are a number of prescription drugs (none of which I had to hand). The only surefire solution is to drop altitude! 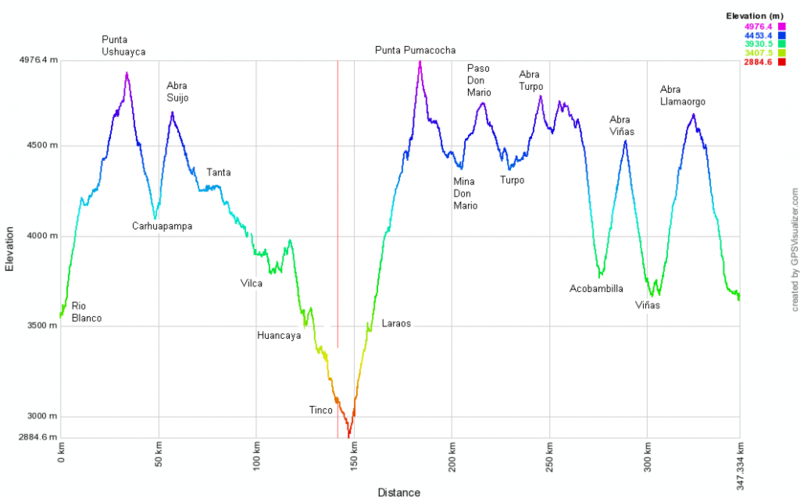 And, given my present circumstances in a hotel on the grim Carretera Central and knowing that I had been fine with the altitude a few weeks back, I decided to wait it out for a bit at this altitude and re-acclimatise. There is another thing which can apparently help with my symptoms (or so I believed – I didn’t have the internet to hand to check). If you’ve seen the Top Gear Bolivia/South America Special, you might already have guessed where I’m going with this. For those of you who haven’t, the little something that Nick had kindly gifted me was a pack of 4 Viagra which, whilst commonly used to boost performance in the bedroom, can be used to boost performance outside the bedroom and help with altitude sickness! Needless to say, I can’t say I noticed any real effect on my dizziness – I certainly became quite sensitive to the light. I think that, perhaps, it has an effect on some of the more severe symptoms, but it made for an amusing experiment! I promptly decided sleep was the best solution and headed to bed. The next morning, feeling slightly better but still a bit dizzy and with a mild headache, I free-wheeled the few KM down the Carretera Central to the beginning of my route and then slowly pedalled uphill to the small village of Chocna, where the local schoolmaster let me camp in the school grounds. Not wanting to ascend any further, an afternoon reading my book was in order! Brilliant stuff Campbell! Looks incredible and you detail it so well, keep them coming mate and mind the sprinklers! Haven’t read the new post yet, but I thought you should know that I’ll be calling you ‘huanca-velica’ when you get back! Happy cycling…! Good stuff Campbell! 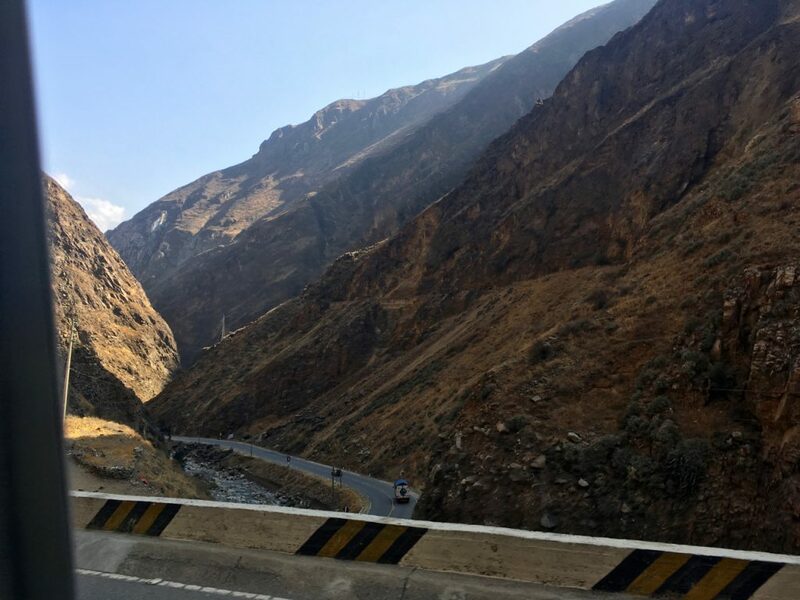 I loved Colca Canyon so would recommend, but had to make a choice between that and Titicaca myself which was a difficult one. You’ll enjoy either obviously. My route does potentially give me the option to dive off to Colca if I have a change of heart but I think it’s probably a case of ‘you cannot do everything’! I feel like progress South would be a good thing for me right now! Your outstanding narrative and pictures succeed in dropping your incomparable high-altitude scenery and engaging experiences into your readers’ predominantly low-altitude lives so effectively that we can almost breathe and share the lung-cleansing air. Loving your blog Campbell, the little details bring the great pictures to life. Perfect read while sitting here drinking coffee and thinking about virtual reality on a hot Shoreditch morning. Thanks Stu! Wow, Shoreditch really does feel a world away!